Sherlock Holmes is the most marvellous character of literature, who achieved such enormous respect that we talk about him as if he was alive. He lived, lives and will live in our hearts forever. His story will always be on the stage, on the small and on the big screen and will be a part of the offer of publishing houses. Many people tried to find out why he is so extremely popular, and this article also endeavors to solve the mystery of the detective. It is quite a hard task, because the success of Doyle’s hero lies in the beautiful combination of numerous elements. I have to apologize for the title, it is a bit misleading. This article does not deal with the theatre play entitled The Secret of Sherlock Holmes. I also have to excuse for the length of it, but this topic cannot be got over in a few sentences. I know it is evident for the true Sherlockians that their favourite is such an extravagant and complex personality that it is impossible to talk about him briefly. Maybe this article will be interesting and close to their hearts. There will always be talented young actors who shoot to fame thanks to the portrayal of Sherlock Holmes. And there will always be „Sherlock fans” who adore the actor and not the great detective. But this does not change the fact that Holmes is a special personality, and a true Sherlockian knows that his values do not depend on looks. We know that Doyle’s Holmes was not handsome, but this does not lessen his merits, because as Saint-Exupéry told: „It is only with the heart that one can see rightly; what is essential is invisible to the eye.” We do not value him by his looks – he never did it himself. Intentions and deeds, that is to say, the inner values were important for him. This feature of his raises hope, as it shows that there will always be people who appreciate others by their real values. Those times are gone long ago when man lived defenceless in the wilderness. We are no more the prey of predators, we live in safe towns or villages. If society lives observing the laws, not just deaths caused by predators but evil-doing can remain at a minimum level. But the ancient instincts still live in us, we need excitement and thrill. Thrillers and detective stories give experiences while we know that we are in safety. Crime solving is especially enchanting when we search for criminal masterminds in the company of Sherlock Holmes, the genius and of the likeable dr. Watson. At the same time seeing too many violent things can make us tense, nervous or even aggressive. Those who want to better themselves filter the amount of violence that effect their lives – it is not easy, because we live in a cruel world. Some people say cruelty cannot be separated from human nature, but I believe what Gandhi told: „When I despair, I remember that all through history the way of truth and love have always won. There have been tyrants and murderers, and for a time, they can seem invincible, but in the end, they always fall. Think of it--always.” Sherlock Holmes gives hope because he usually catches even the most cunning and most cruel criminals. There are many evil men, but only one gracious, thinking man is enough to fight against them to lessen the number of tragedies they cause. Conan Doyle gives us the gift of safe chill and he gives much more: he also offers solutions to the problems of real life. He always emphasizes in his works that it depends on us what world and life we create for ourselves. It is our decision to use our brains, hearts and deeds for good or evil. If we would follow the principles of Holmes or Watson, the world would be more peaceful and more humane. Sadly there is a lot of violence in the world. What we need is an earnest change, but until then criminal investigation must be efficient. The French Edmond Locard read the Holmes stories when he realized that Sherlock made investigation, which was a forced thing and had many shortcomings, a passion and a useful discipline. Dr. Edmond Locard became a renowned pioneer of criminal investigation who taught his students to be like Sherlock Holmes. The sleuth inspired other investigators as well, so he practically made the world safer. He said: "Once or twice in my career I feel that I have done more real harm by my discovery of the criminal than ever he had done by his crime. I have learned caution now, and I had rather play tricks with the law of England than with my own conscience." (Abbey Grange) Holmes is a law-abiding man, but when the law is incomplete or inhumane, he helps with being humane. He supplements the law and does not tread down others. Besides the excitement of thrillers we have to mention that Conan Doyle’s characters were astonishingly realistic. They stepped from the pages. The figure of Holmes was inspired by several real-life persons (We write about them in the article Harry Potter and Sherlock Holmes). Doyle was a very talented writer and his stories were popular among men, women and even children, because each of them could find something interesting in them. Later it was a family program to follow the Holmes stories in the radio or listen to the reading of a family member. Conan’s success was enhanced by the publishing of the adventures in The Strand Magazine with the wonderful pictures of the brilliant illustrator, Sidney Paget. These pictures captured the imagination of the readers. Everyone wants to be clever or at least to think that he/she is clever. Sherlock became the symbol of logic, and in addition he used such emblematic things (deerstalker, pipe, long coat) that are easy to recognize and to get. This way someone could be similar to the great detective by wearing a long coat and having a pipe. The material signals of logic that are easy to recognize everywhere in the world were accessible without picking up special knowledge. So both learned and illiterate people could identify themselves with the character of the genius. No matter how literate or beginner is someone – maybe because of his/her young age – the Sherlockian world welcomes everyone warmly. Because the elder Sherlockians never forget that once they were young and unversed too, and the Sherlockian world helped and still helps them discovering the meaning and the beauty of life. But easy identification, intelligence and fame often brought disadvantages for the detective. Numerous writings were published which twisted and humiliated the character of Holmes and the other figures. Of course there are excellent book and film adaptations, but there are versions in which the significance of Sherlock is completely missing and they spread misbeliefs instead. Yet we have to accept that these kinds of writings exist as well. Sometimes an unusual adaptation raises the interest of young people and prompts them to study the Canon – and this way they come to like the world of Sherlock. Because of his fans a whole industry was based upon Sherlock Holmes. The character continually gives work to actors and crews, theatre companies, booksellers, illustrators, museum staffs and the designers of memorabilia. Sherlock Holmes is part of pop culture. 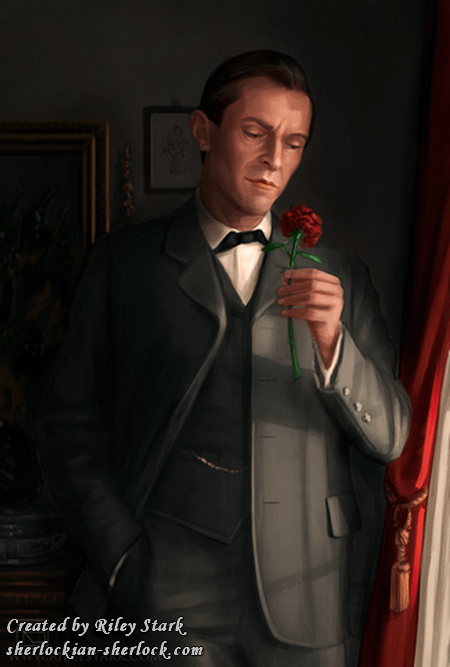 Holmes also made illustrator Sidney Paget more famous and richer than he already was, and his character is able to give hope for those as well who struggle for subsistence. Of course the friendship between Holmes and Watson is a great charm. We all would like to have such a lovely and loyal friend like the good doctor, who is always there to support us. And at the same time those who are afraid of problems and are seeking someone to lean on, they would like to know someone like the great detective, who can really help them. Such people who are self-confident and already found their places in life are also curious of Holmes, because they want to know how would Sherlock, the rational man judge their personality. Doyle created two characters who are able to touch our desires and thoughts. Whether we are lonely or not, we admire and yearn the world of Holmes and Watson. Although Sherlock is the symbol of hope who sees the world as it is and feels it his home when he has work, yet depression is inseparable from his personality. Not only because as time passed, the sleuth became more and more letargic, but because several adaptations underline his sadder side. Legendary Holmes actor Jeremy Brett suffered from manic depression, and his portrayal was sometimes darker than the original. Brett spoke sincerely about his illness and urged his fellow sufferers to seek professional help. People could witness his heroic fight and this way he became a hero for Holmes fans. So the great detective is able to give hope both for pessimistics (he returns to his bad habit, the using of cocaine) and optimistics (he is able to quit his drug use). So he is just a fallible human like us, but he can change if he wants to. Unfortunately sad people overlook the fact that Holmes is brave enough to sagely change his life when it is necessary - and this feature is rational and raises hope. Holmes was not depressive, he was aware of the fact that with his job he makes himself useful, that he does something for other people. He strongly believes that it is worth to work for others. Of course he had periods in his life when he was stuporous, but everybody has good and bad days. When there were cases to occupy his mind, he had no problems with the world, he was happy and contented. We all are mortal, so death affects everyone. Since man lives on Earth we experience that our body is not eternal. Some ancient cultures regularly dealt with death: in Egypt people built their tombs when they still were young, and the Spartan heroes were taught that dying for their country is the biggest honour. In Greek mythology Orpheus tricks death and many heroes face it. People envied the Gods of the Olympus who were immortal, but the deities were also curious of the life of ordinary men, and they thought it is much more stimulating to live a fixed length life, because one has to think over every decisions. And mortals experienced death which was unknown for the Gods. In the Victorian era poor people could afford a photograph of their loved ones only after their death. On these pictures the deceased wear nice clothes and it seems like they are sleeping – for us it can be a little morbid, but at that time these photos were the only memories that remained for the relatives. In societies where individuals care for death it is easier to accept the perishing of the body, it is less painful and tragic. What is born it has to die, it is the law of nature. Doyle’s famous friend, the illusionist Harry Houdini (who was born in Hungary) had so many startling tricks that when he promised that he tries to return from death many people were sure that he will certainly succeed. But the séances waiting for his return had no results, the real Houdini never showed up. 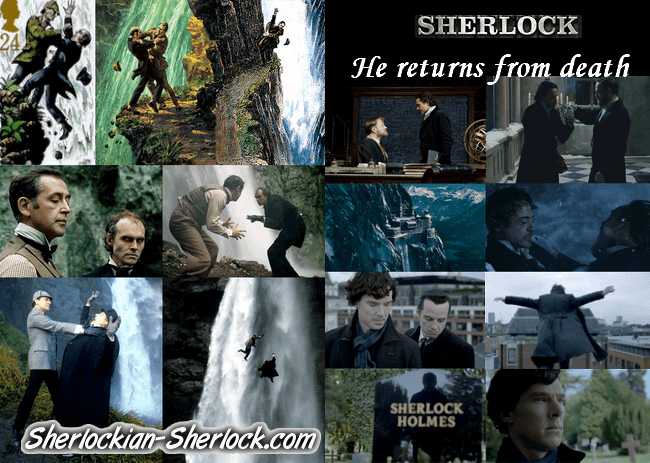 But Sherlock Holmes came back from death, he survived Reichenbach. He resurrected like Jesus Christ. Jesus propagated love, and the legendary British detective had been brought back to life by the love of his fans and by the writing genius of his creator. Later he resurrected in some adaptations as well (in BBC’s Sherlock, for example). Whether you can accept the fact that men are mortal or not, you can feel that Sherlock has overcome death, he is truly immortal. As the ending of life on Earth is the part of nature, Sherlock Holmes, who does not believe in ghosts, became a supernatural being with the fact that he lives forever. In the heart of his fans first he turned into a living person, then into an immortal hero. His memory is persistent for humanity. The achievements of the industrial revolution made everyday life much easier in many ways. But at the same time they aroused fears of unemployment because of the new machines and technologies. People began to use new instruments but they did not understand how they functioned. Many had the feeling that they are stubborn and easy replaceable. They had new activities which splintered up their time and persistance. Uncertainty was still present during the reign of Queen Victoria, though in that period England became one of the most dominant powers of the world. There was poverty, there were illnesses and countless people were sour. Many took refuge in alcoholism or became opium addicts; groups of children roamed the streets while their parents worked. Like today, people lived together in groups, did their daily activities but were lonely and had no one to understand them. They puzzled over many questions: What is the meaning of life? Does God exist? Should I follow my heart or my intellect? How can I solve the problems? May I trust others? What are my capabilities? Will I make my way in life? What should I do to make others understand me? So Holmes gives the answer to the question of heart and intelligence. Feelings are important, but only the brain can give patience, restraint, consistency, moral and effective solutions if we work for the truth and for the sake of others. Being compassionate means that one feels with those who suffer. „According to Buddhism for a man to be perfect there are two qualities that he should develop equally: compassion on one side and wisdom on the other. Here compassion represents love, charity, kindness, tolerance and such noble qualities on the emotional side, or qualities of the heart, while wisdom would stand for the intellectual side or the qualities of the mind.” (Walpola Rahula: What the Buddha taught). As Hungarian writer Frigyes Karinthy said: „Having a character means that you are self-consistent, that you stick to your personality both in thoughts and with deeds.” Sherlock Holmes had a character, and he turned into a role model for countless people. We proudly note that Sherlock Holmes was the first modern hero, whom we can consider the number one wearing a cape because of his long coat. At the same time it makes the detective of Conan Doyle the most wonderful out of the many superheroes of the world that he did not have supernatural powers or magical objects (like Superman or Harry Potter) – he solved the problems with using his human abilities: his intelligence, and his emotions. This way he made the world a better place. Sherlock Holmes worked a lot. He often developed his abilities in his free time too – he counted the steps at 221 B Baker Street, he made experiments, he read the police news and kept a registry of crimes. He spared time for his tasks, and he was a stayer. He showed his followers that one can love his/her profession and can feel at home in it. One can be succesful if he/she works on being smart and confident. He shows that you can do for having a good life. Watson, who married more than once and Holmes are the best examples that whether we have family or not, we can be proud of our work. The profession we chose can be a valuable part of our life. Even Holmes fails sometimes, but he is ready to admit his mistakes and to learn from them. It is an important part of his good professional performance that he analyzes and corrects the faults. Muhammad Ali told: “Inside of a ring or out, ain't nothing wrong with going down. It's staying down that's wrong.” Sherlock is no exception, sometimes the difficulties of life overcome him. But he can always brace himself up. He does not like the fact that he makes mistakes, but he does not indulge in paralyzing shame, because he knows that he can have triumphs in new investigations. He creates his own success with sedulity and steadfastness. He forms his life with his deeds. The hero of Conan Doyle gives the hope that we can really do something for make our lives better, we can correct our mistakes and persistence has its effects. Individuals can not only brace themselves up, but with taking the time and studying the world they can even realize their virtues and those of others, and the world can be really a home for them. Nowadays we live in a more modern world, but Sherlock’s attitude to work is still current and useful. And we can learn other things from him as well. As he is never permanently absorbed in his own problems, he can live through the difficulties of others and this way he is able to help them more effectively. According to the Bible love has the power to build. I strongly believe that it is true and love is the greatest positive energy of the world. We already mentioned that Doyle presented to us many joyful hours, lots of wisdom and the basics of modern criminal investigation with the adventures of Holmes. Sherlock Holmes - a gift for the world from a philantropic and polymath artist. The detective became the proud symbol of many nations. We listed many things that made him so popular, but I think his greatest secret is that Doyle launched him to the world with hope and love. At first he even wanted to name the character Sherrin(g)ford Hope, perhaps to emphasize his ability to give hope. (Recommended site: The name of Sherlock Holmes) The writer never gave up hope, not even when he had to fight for his stories to be published, or when he was fed up with Holmes, but at last he returned to his adventures, because his mother, his friends and the readers of The Strand wanted new cases. His pen was led by love and hope, and nothing had changed when he felt writing was a must. 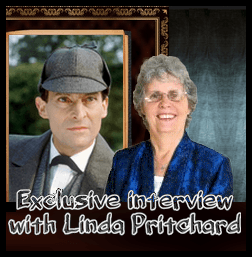 Doyle’s love and wise intelligence shines through the Canon, and the Sherlockian world was and still is built further by the love and intelligence of countless artists. RileyStark kindly gave permission to use this beautiful picture. We believe in Sherlock Holmes.
" 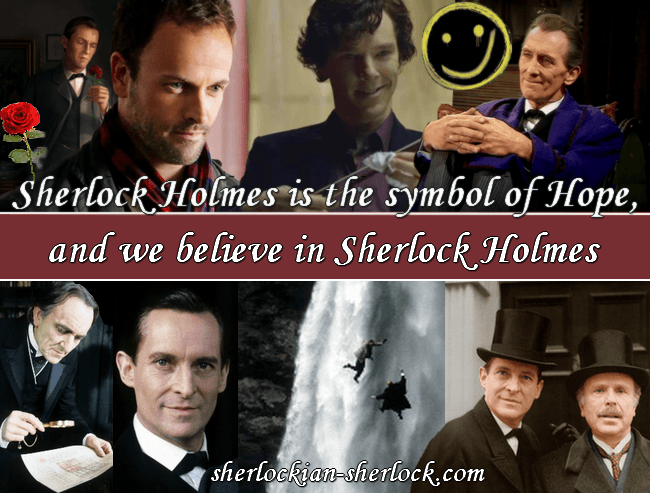 The secret of Sherlock Holmes: he is the symbol of hope "